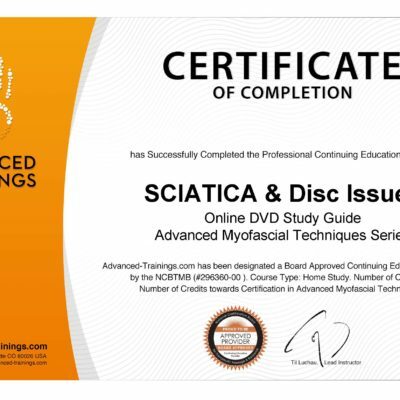 • Complete instructor demonstrations from our popular 1-day Advanced Myofascial Techniques: SCIATICA & Disc Issues course. • Covers 24 techniques and assessments, including 9 supplemental techniques not shown in live courses. • Bonus: Includes free download of the Course Notebook PDF, plus German & Spanish transcriptions. 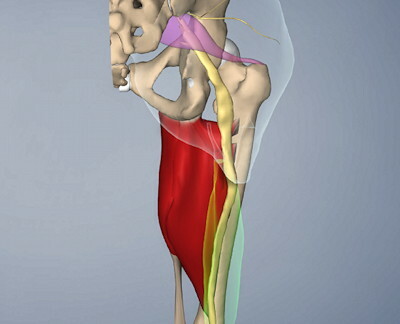 • piriformis syndrome ...and more. 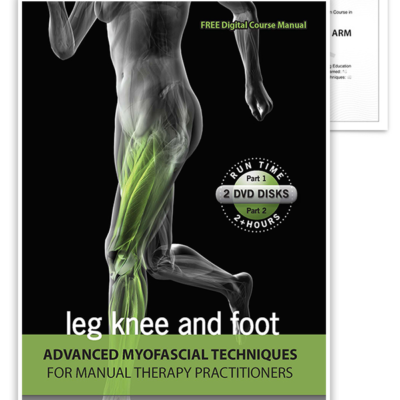 Filmed at actual Rolf Institute®-associated* continuing education seminars, these best-selling videos show effective hands-on myofascial tools, assessments, and techniques that address common client complaints. Each course includes instructor demonstrations, explanations, student questions, technique variations (and the occasional blooper) that convey the immediacy of an actual class. This "recorded live" format imparts the essential elements of each technique in a way that pre-scripted, studio-produced videos may not. 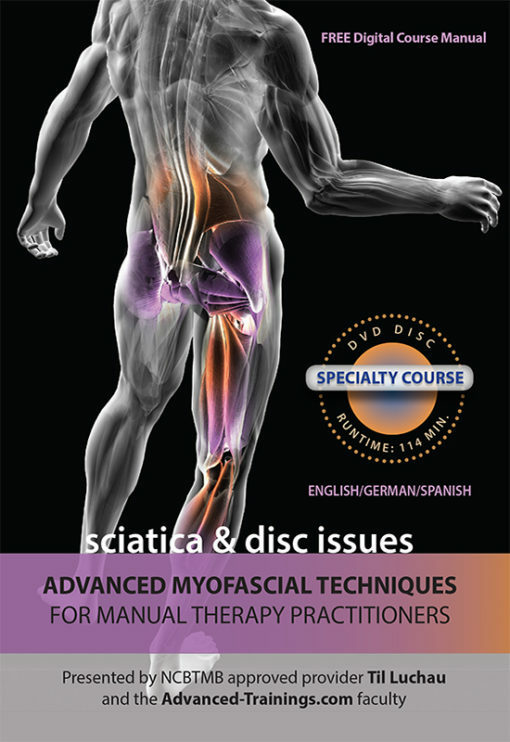 Since their original release, the Advanced Myofascial Techniques videos have become classic reference, teaching, and study resources, purchased and used by tens of thousands of hands-on practitioners around the world, in clinics, universities, private practices, sports centers, and spas offering physical therapy, sports rehabilitation, massage therapy, and more. The techniques and protocols are designed to be used on their own, or combined with myofascial release, physiotherapy, occupational therapy, structural integration and Rolfing®*, active release therapy (ART), shiatsu, acupuncture, neuromuscular therapy, fascial release, and more. BONUS: Includes free download of the accompanying online Course Notebook PDF (usually $5.99) which illustrates each of the video's techniques with clear photographs, selected key points, cautions, and space for your annotations. Use the notebook together with the video to organize your notes and maximize your learning. Check your email for the download link to your free Course Notebook PDF after you order. Optional: Get credit and earn a Certificate of Achievement! Add credit or bundle options above. *Rolfing® is a brand of Structural Integration and is a registered service mark of the Rolf Institute® of Structural Integration. 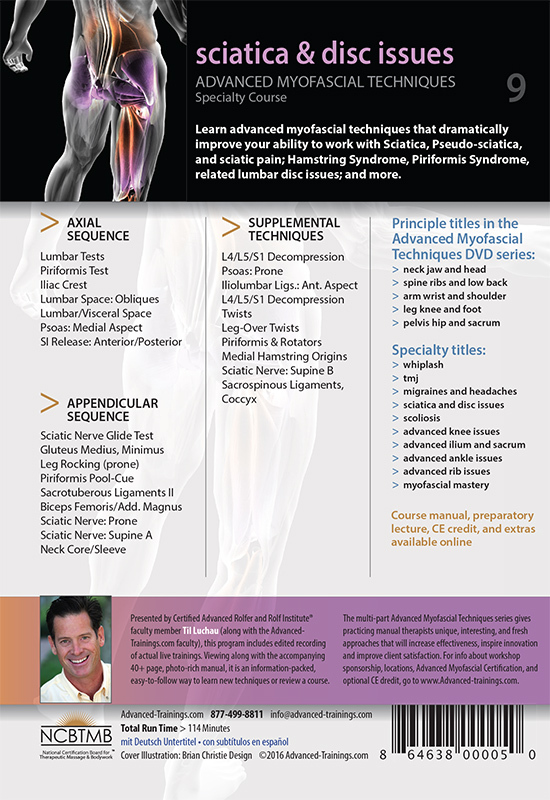 Rolfing® Structural Integration is not taught in Advanced-Trainings.com courses. Packaging and labels may be different than pictured. This “regionless” DVD format will play on all modern DVD players, regardless of country. 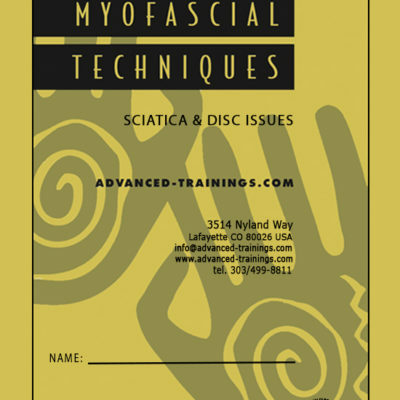 Since 1985, over 6,000 professionals have trained in our live Advanced Myofascial Techniques seminars. They live in 51 US states and territories, in more than twenty countries, and on all seven continents. 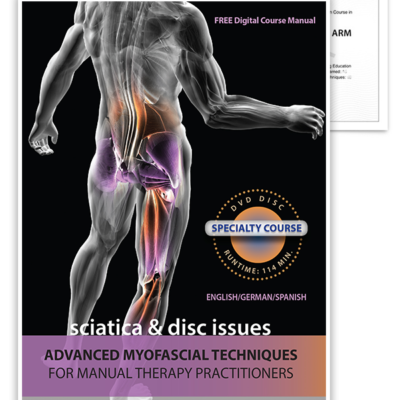 These classes are hands-on, state-of-the art, and filled with techniques practitioners can immediately put to use for addressing their patients’ and clients’ most common complaints. Our expert faculty has many decades’ experience in working with manual therapy practitioners (Physical Therapists and Physios, PTAs, Osteopaths, Massage Therapists, Occupational Therapists, Rolfers and SI practitioners, Bodyworkers, Chiropractors, Movement Therapists, etc), of all levels and backgrounds. 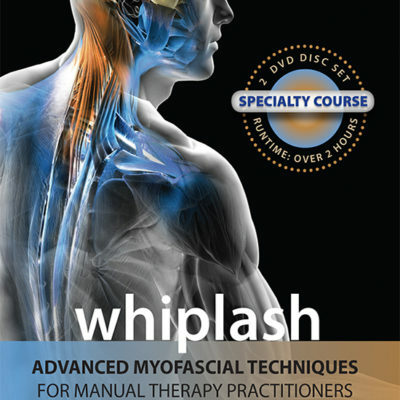 Completion of the five Core workshops leads to an optional Certification in Advanced Myofascial Techniques. Prerequisite: These courses are limited to trained practitioners and advanced students of hands-on body therapies (for example, Bodyworkers, Physical Therapists, Rolfers, Chiropractors, Structural Integration Practitioners, Massage Therapists, Neuro-Muscular Therapists, and other somatic practitioners). Students of these disciplines with at least 250 hours of hands-on training and/or instructor approval may also be accepted. Feel free to contact us directly about prerequisites or course content. These workshops are approved for NCBTMB, AMTA, ABMP, IASI, State Board CEU’s, CE/CME credits for Physical Therapists, Physical Therapy Assistants, Certified Rolfers, and many other types of credit (check with your agency for any special conditions or type of credit earned).